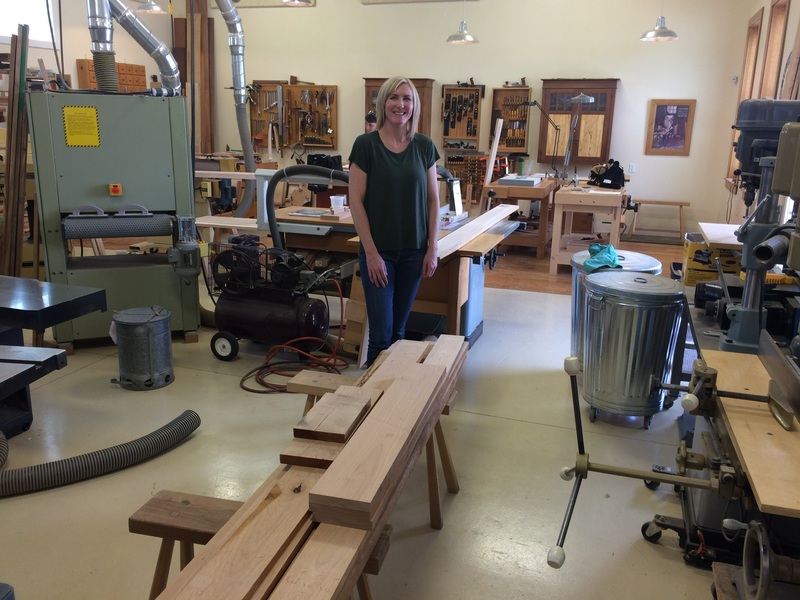 The Joiners Bench is pleased to offer summer internships to several students interested in enhancing their furniture-making skills. Students work on one or two of their own furniture projects, as well as several group projects, in a collaborative setting. Outstanding furniture projects will be featured in the Salt Lake Furniture Design Show this fall. This is Cory. 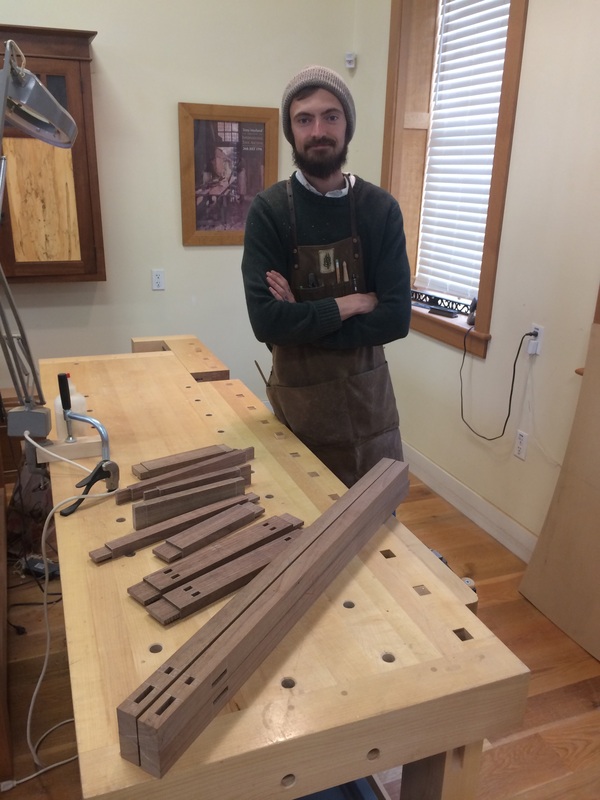 Here he is with the mortise and tenon work for a chest-in-stand he is building. Meet Chantel. She will be building a sideboard of her own design. 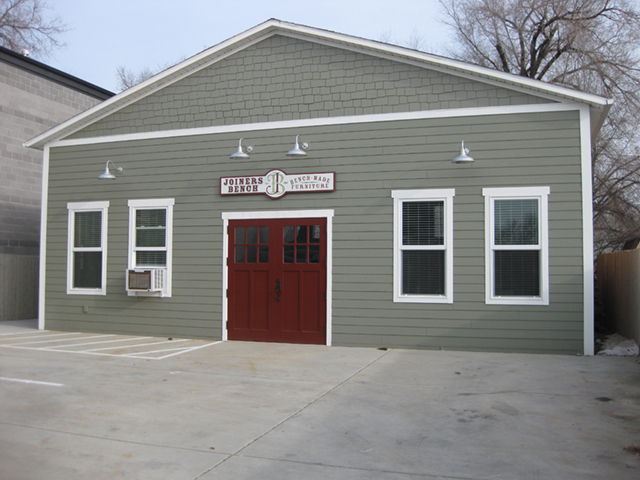 This is the sycamore lumber she selected for the project. 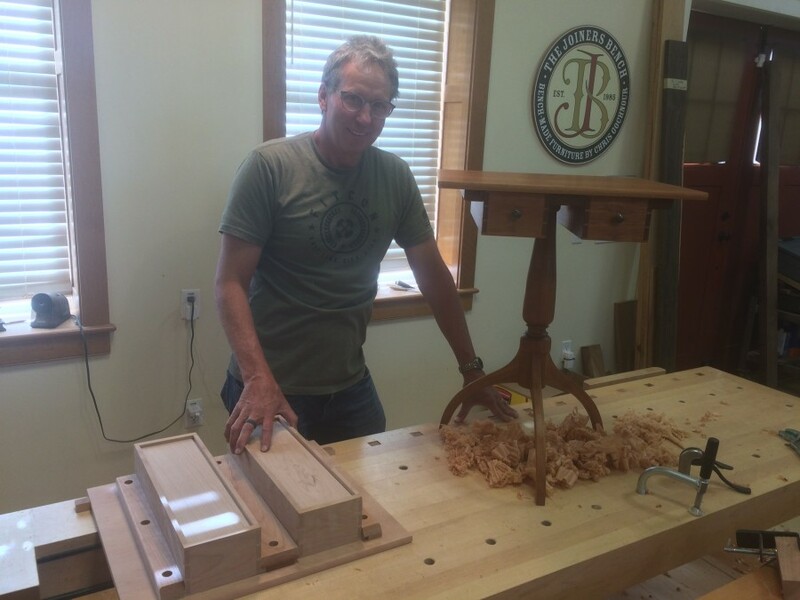 Here is Scott working on his Shaker sewing table. Anj will be part of the summer fun. Here she is with her newly finished Shaker sewing table. 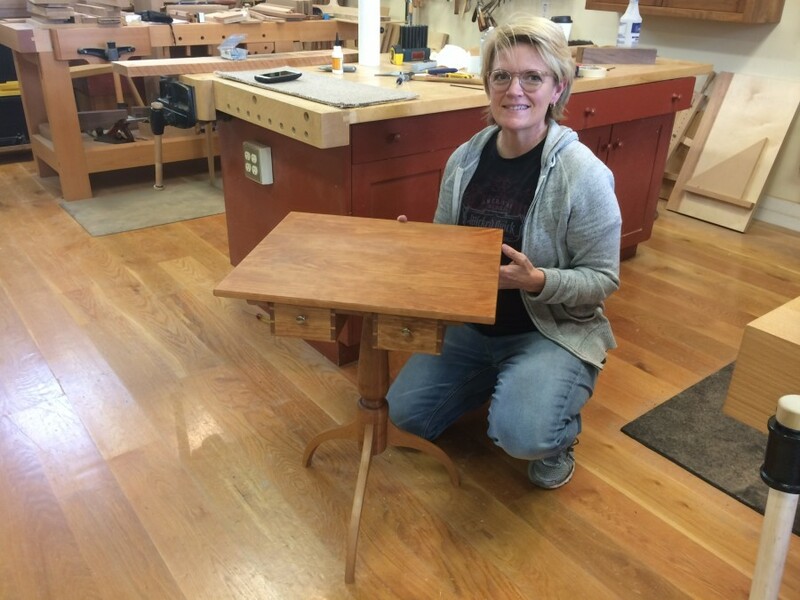 This lovely table was a gift for her mother on Mother’s Day. Meet Carrie. 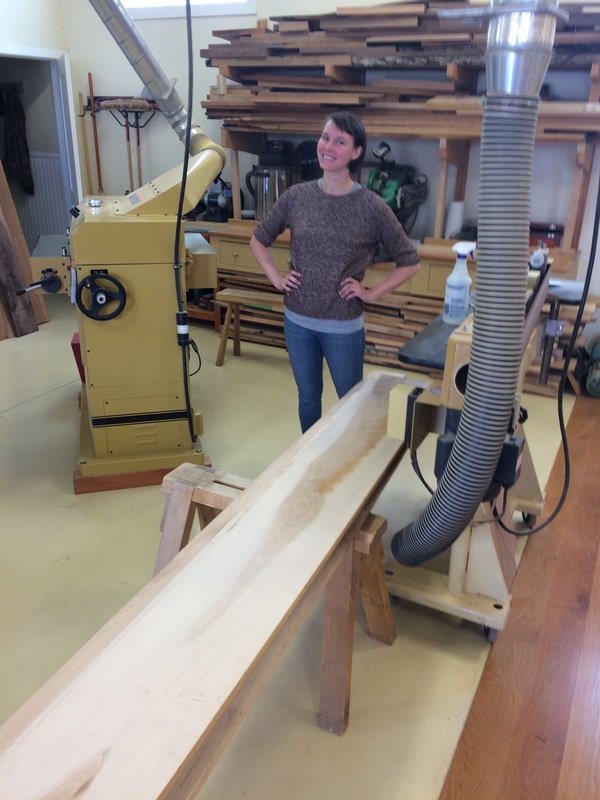 She just returned from the hardwood store with alder and spalted cherry for a cabinet she is making.